Figurena is out of our foundation sire Rimlo Black Prince and was raised here on the Grunden Ranch. 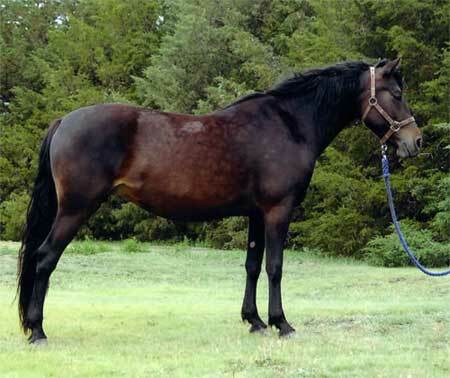 Her dam, Funquest Figurena was a life long brood mare at the Grunden Ranch. The offspring of Funquest Figurena and Rimlo Black Prince was always in high demand. As Funquest Figurena was getting older, we realized that we had never kept a filly out of this cross, as somebody had always talked us out of it. RG Figurena's Dream Girl siblings have been ambassadors to the Grunden Ranch breeding program. They have been shown in Carriage Driving, English and Western classes throughout the Mid-west and Canada. One look at her pedigree will show several crosses to Flyhawk, the center point of our breeding program.